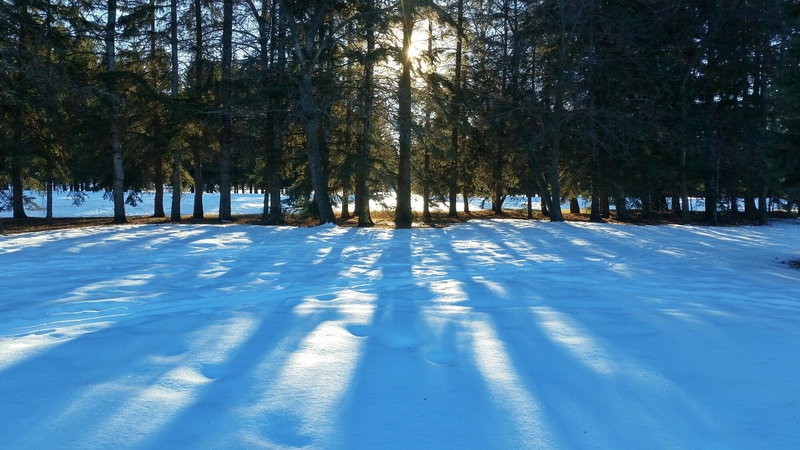 It was a beautiful sunny and warm, mid-February afternoon in Edmonton and I got my cross-country skis out and over to the Riverside Golf Course. Warm weather in January had made the snow conditions deteriorate and had it not been for the 10 cm of fresh snow a couple of days earlier I probably would not have even tried skiing. The conditions weren’t bad (in some places) but not good (in other places). The bad places were those where the trail had been getting direct sun for a good part of the day. As a result these trails were a sticky semi-frozen slush. On the other hand, trails that lay in the shade all day (like the southside of the East-West running fairways) were superb. Even with +5C temperatures the recent snow was very nice and the skis glided along effortlessly. Being already late in the season, in an warmer than normal winter, I don’t expect a lot more opportunities to get out skiing but do hope to get out at least one more time this long weekend. 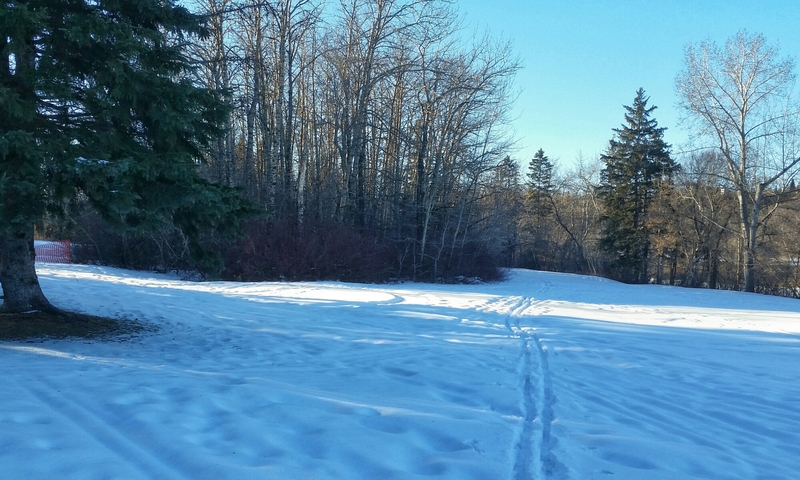 Skiing in the river valley – another of the things that makes life in Edmonton so enjoyable. An unexpected bonus while out at Riverside was having a close encounter with a coyote. We passed about 20 meters apart, briefly stopping to look each other before carrying on our ways. (Sorry no photo of it).